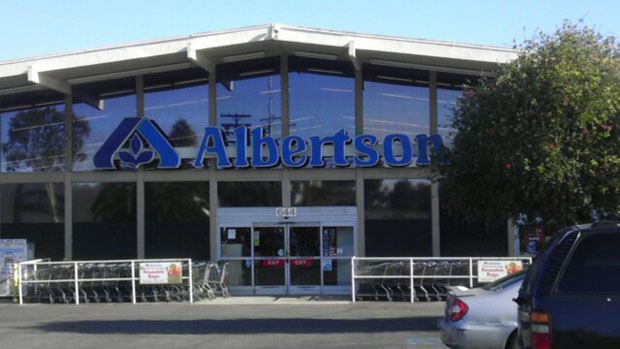 The Albertsons on Redondo Ave. near 7th St. will be the only Long Beach location to close. Earlier this week, Albertsons’ parent company announced that they would be closing 18 of the store’s underperforming Southern California locations, including one in the Belmont Heights neighborhood of Long Beach. Supervalu—which also owns Osco/Sav-On Pharmacies and Lucky Stores—will be shutting down a total of 60 stores this year, citing steep losses across all of the chains it operates, according to the Los Angeles Times. The Belmont Heights Albertsons on Redondo Ave. between 6th St. and 7th St. is the only Long Beach casualty of the closures and is expected to be gone by December. Albertsons’ other four Long Beach locations—Downtown, Belmont Shore, Los Altos and the one on the corner of Long Beach Blvd. and Willow Ave—will remain open indefinitely. Though the loss of one store in Long Beach is small comparitively to the number of grocery stores that exist in the city as a whole, Supervalu’s announcement is another sign that nationwide, supermarkets are on the decline. Big-box retailers such as Target and Wal-Mart—as well as smaller, specialty stores such as Whole Foods and Tesco’s Fresh & Easy—are slowly chipping away at the market share, drawing in customers with one-stop shops, lower prices and pre-prepared items for busy families with tight budgets. In Long Beach, a reduction in fresh food purchases at grocery stores could also be the result of the rise of increasingly accessible weekly farmers markets across the city.